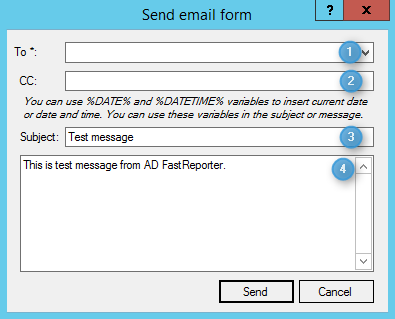 AD FastReporter enables you to send reports via email. But first you have to configure the email settings in Tools-->Options-->Email. 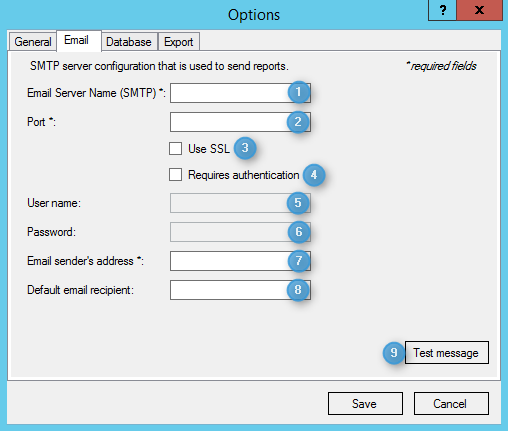 Your SMTP email server address; for example, smtp.gmail.com. Your SMTP server port; for example, 587. Tick if SSL is required. Tick if authentication is required. The default email address used to save time when sending messages frequently to a single user. Open the email test form to verify your email settings.